China’s air quality improved during the first few days of the Chinese New Year thanks to tighter restrictions on fireworks, the government said this week. The average concentration of PM 2.5, the tiny air particles that are considered most hazardous to human health, dropped 14.2% compared to last year, and 31.9% compared to the same period three years ago, according to the Ministry of Ecology and Environment. But fireworks still did some air damage. PM 2.5 levels spiked on the eve of the Chinese New Year, causing the number of "heavily polluted" cites to jump by 49 and "severely polluted" ones to rise by eight, the release said. Fireworks have long been a tradition of celebrating Chinese New Year. But air quality concerns have caused hundreds of cities to ban them. According to data released by the Ministry of Public Security, 444 cites banned fireworks at the end of 2017 and 746 cities placed restrictions on them. Though there has been pushback. 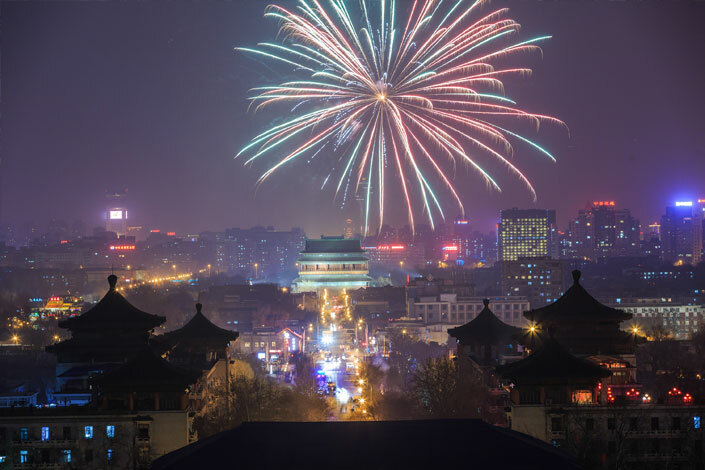 In 2017, the Henan provincial government dropped its ban on the sale and lighting of fireworks amid public opposition and protests from merchants.